Atul Gupta has risen up the ranks of the country’s wealthiest – but the Gupta family persuaded corrupt government officials to pick up the tab for the Gupta Sun City Wedding billed as the “event of the millennium”. What’s more, professional services firm KPMG ensured the Gupta family paid zero tax on their Free State Province windfall. This has emerged in the #GuptaLeaks, a treasure trove of data from the heart of the Gupta family empire. 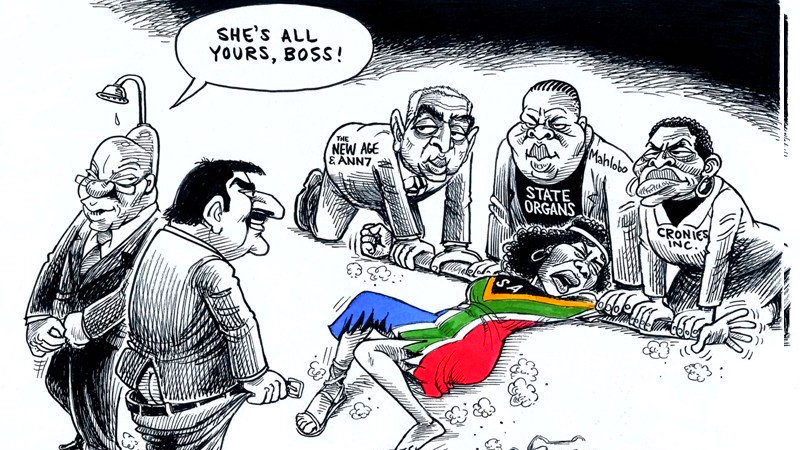 Independent investigative journalists at amaBhungane have been sifting through emails, piecing together the state capture strategy that has enveloped the South African government and state entities. Signs that the Indian Gupta family had gained control of the political levers of power first became apparent when it landed a private wedding party at a state air base in 2013. Guptagate, and how the Indian family used Waterkloof airbase for its personal gain. 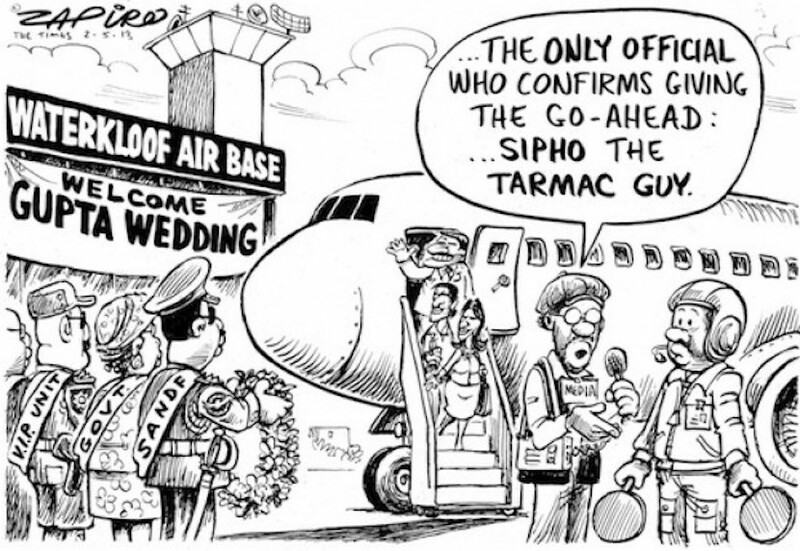 More magic at www.zapiro.com. The 200-plus guests were en route to a lavish four-day party at Sun City to celebrate the union of Vega Gupta to Aakash Jahajgarhia. The landing was unofficial and illegal, with allegations that “Number One” – a reference to President Jacob Zuma – had personally authorised the whole affair as a favour to friends. Bruce Koloane. 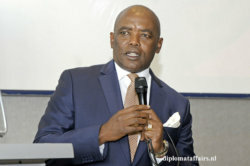 Photo taken from Diplomat Affairs Magazine’s website. Zuma denied his involvement in the scandal. But, Bruce Koloane, the official who carried the can, was subsequently appointed as ambassador to the Netherlands where he blatantly works in the interests of the Gupta business empire. The invoice for accommodation at Sun City came to about R5,5m – and that was just for starters. Media investigations reveal that incidentals and venue hire cost about R2,5m, while Atul Gupta’s bill for personal expenses was in the region of more than R250 000, according to reports. Guests at the wedding included media industry heavyweights like Independent Media boss Iqbal Survé and, says Surve, Media24 head Esmaré Weideman to political figures. Former Minerals Minister Susan Shabangu, now Minister of Women in the Presidency, was spotted in the vicinity of the party as were other politicians. But the Gupta family, behind a string of businesses including Sahara Computers and Oakbay Investments, had short arms and long pockets. It allegedly took Sun City more than 18 months to get the bill cleared. New information has emerged that this bill was footed in part by South African taxpayers through provincial coffers. AmaBhungane journalists have discovered that the #GuptaLeaks reveal that that the Free State provincial government largely picked up the tab for the “event of the millennium”, as it was described by KPMG Africa then-chief executive Moses Kgosana. 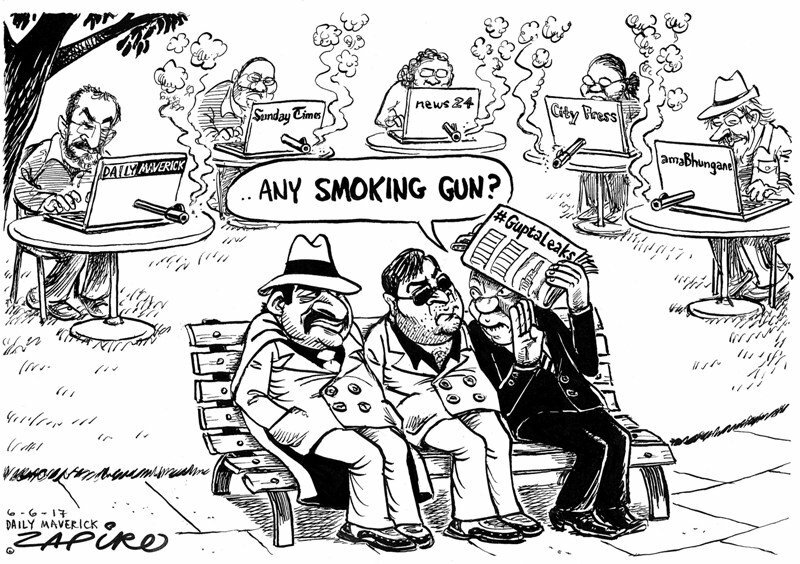 KPMG were the auditors of the Guptas’ Linkway Trading (Pty) Ltd.
“By allowing Linkway to account for the wedding as a ‘business expense’, KPMG further ensured that the Guptas paid zero taxes on their Free State government windfall,” says amaBhungane. Amabhungane has pieced together financial transactions, designed to be confusing, identifying a flow of money from the Free State provincial government through a Dubai bank account and eventually back into a State Bank of India account in Johannesburg (see here for the details). KPMG insists that its relationship with the Gupta family is normal. “In this case the wedding attendance was approved by our risk management and the accommodation costs were borne by KPMG…We stand by our work done and audit opinions issued,” the professional services firm told amaBhungane. The Gupta family did not respond to amaBhungane inquiries. SA outrage as #GuptaLeaks reveal scale of Zupta spies, lies and greed. Have your say! Protest action is slowly building in the social media, while others are using their democratic right to freedom of speech to take a stand against the corrupt president and his crooked friends who are working against the national interest. Add your voice here! If seasoned journalist Peter Bruce doesn’t win through legal channels, he is determined to use the power of the pen to fight the forces of evil directed by the Gupta family in a state capture campaign that is damaging the economy and jeopardising social stability. Read more. The #GuptaLeaks reveal that the Zupta account has been so lucrative for Bell Pottinger that it sent an invoice for just under £350 000 (about R5,5m), for a four-day trip that included a suggested speech for Collen Maine of the ANC Youth League and a statement for the MK Veterans Association. Read more.